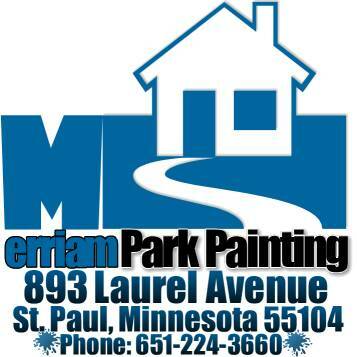 "Merriam Park Painting uses only the highest quality paint and primer. When you hire Merriam Park Painting, you can be assured that all paints and primers will be included within the estimate." We will power wash your home, to assure that the surface is clean and free from salt and pollution. and the exterior siding and trim. We will hand scrape and sand the exterior siding and trim. Merriam Park Painting is concerned about the environment, and we will place drop cloths around your home to collect and properly dispose of paint chips generated from our scraping process. We will renail any loose siding or trim and replace if necessary any rotted siding or trim. We will caulk any cracks or gaps where necessary to assure that moisture will not penetrate surface of your home. We will prime the surface to assure that all bare wood is properly covered. We are a licensed hazardous waste contractor assuring proper disposal. We are licensed by the Minnesota Department of Health as a certified lead abatement firm. Copyright © 2015 Merriam Park Painting All rights reserved.